In this detailed Resource page, we feature an abundance of Intellij IDEA Tutorials! IntelliJ IDEA is a Java integrated development environment (IDE) for developing computer software. 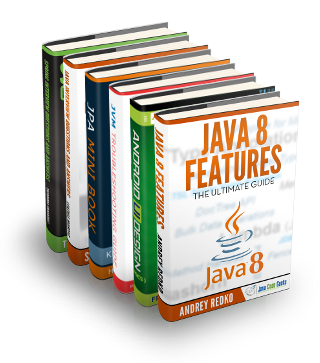 It is developed by JetBrains (formerly known as IntelliJ), and is available as an Apache 2 Licensed community edition, and in a proprietary commercial edition. Both can be used for commercial development. The first version of IntelliJ IDEA was released in January 2001, and was one of the first available Java IDEs with advanced code navigation and code refactoring capabilities integrated. In a 2010 Infoworld report, IntelliJ received the highest test center score out of the four top Java programming tools: Eclipse, IntelliJ IDEA, NetBeans and JDeveloper. In December 2014, Google announced version 1.0 of Android Studio, an open-source IDE for Android apps, based on the open source community edition of IntelliJ IDEA. Other development environments based on IntelliJ’s framework include AppCode, CLion, PhpStorm, PyCharm, RubyMine, WebStorm, and MPS. The IDE provides certain features like code completion by analyzing the context, code navigation which allows jumping to a class or declaration in the code directly, code refactoring and options to fix inconsistencies via suggestions. The IDE provides integration with build/packaging tools like grunt, bower, gradle, and SBT. It supports version control systems like Git, Mercurial, Perforce, and SVN. Databases like Microsoft SQL Server, ORACLE, PostgreSQL, and MySQL can be accessed directly from the IDE. IntelliJ supports plugins through which one can add additional functionality to the IDE. Plugins can be downloaded and installed either from IntelliJ’s plugin repository website or through the IDE’s inbuilt plugin search and install feature. Currently, IntelliJ IDEA Community edition has 1495 plugins available, while the Ultimate edition has 1626. These figures are much smaller than those of editors such as Atom, which has over 7000 packages (essentially plugins). However, some features that are included by default in IntelliJ can only be added to Atom by installing packages. For example, linting is built into IntelliJ, and it can be installed in Atom, per programming language, with a variety of packages. If you wish to build up your Intellij IDEA knowledge first, check out our IntelliJ IDEA Tutorial for Beginners. In this example we demonstrate an IntelliJ IDEA Remove Project Example. Unlike many other powerful features of this IDE, it is not intuitive but by using the above steps, you will be able to achieve it quite easily. In this example we demonstrate how you can leverage the power of debugging tools of IntelliJ IDEA. It’s a famous saying that “Necessity is the mother of invention”. In this post we feature a comprehensive Example on IntelliJ IDEA Code Review. We will learn how we can use IDEA IntelliJ for code reviews. In this article we will learn about Project View of IDEA IntelliJ and how to access it and what are the shortcuts which we can use. In this example we will learn about IntelliJ project structure. IntelliJ is one of the most commonly used IDE by Java developers. For this example we will use 2017.2.2 version of IntelliJ. This tutorial has shown you how to download and install IntelliJ IDEA Java IDE on Linux systems. We have seen how to install it step by step, understanding the meaning and implications of each one. To end up, we have seen a list of other JCG posts to dive into IntelliJ IDEA, once successfully installed. This tutorial has shown how works the IntelliJ IDEA code formatter, seeing how we can format our code with a simple shortcut, and also customizing the code style to apply in a very complete way, from white spaces and line wrappings, to JavaDoc and code arrangement. This tutorial will show how to create tests for our Java projects with IntelliJ IDEA. We have seen two ways, manually and automatically, being the second one the most comfortable for almost every cases. In this tutorial we are going to see the IntelliJ IDEA shortcuts for code edition, navigation between files and compilation and execution of the project. In this article we are going to present the 10 most useful to our point of view plugins for any developer using this IDE. In this article we are going to provide some guidelines on how to increase memory heap on IntelliJ IDEA and on how to configure the VM options. For our example we are using IntelliJ IDEA Community Edition version 14.1.2. In this example we will see how to use Gradle as a plugin through our favorite Eclipse IDE. In this article we are going to present how to customize the IntelliJ IDEA built-in color schemes or provide your own color theme for use in the IDE. This example demonstrates how you can utilize IntelliJ GUI Designer to create a graphical user interface that is based on the Swing library components.